Bright sparks are being urged to enter their ideas for new businesses as part of a district-wide contest. Spark Harborough District has launched its Bright Business Idea Competition 2015 with £40,000 worth of prizes up for grabs for the two winners. The first, Best New Business Idea, is for individuals or companies whose turnover is below the VAT threshold of £81,000 per annum. The second, Best Business Growth Idea, is for early-stage businesses looking to grow, perhaps by launching a new product or by targeting a new set of customers. 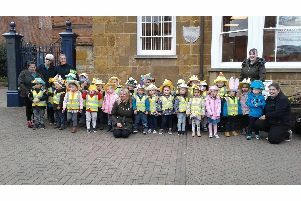 Harborough District Council funds the Spark Harborough District business initiative, which is now in its second year. It is designed to generate jobs, encourage entrepreneurship and to boost the district’s economy. It is organised on the district council’s behalf by Oxford Innovation, which runs Harborough Innovation Centre. The scheme includes a packed programme of free workshops and business planning support at the innovation centre, running until May. A total of eight shortlisted business ideas will win strategic coaching and growth planning support. They will get to develop a robust business plan and receive practical assistance to build a detailed financial model for their business. Entrants’ business plans will be reviewed by the six-person judging panel, made up of established business and civic leaders from the district. The judges will select six finalists from the eight shortlisted. Finalists will then be invited to attend a pitch training workshop to understand how investors and the Spark judges will evaluate the potential of their ideas and their business models. Russell Copley, of Angels Den, will run the workshop, which will include one-to-one support to help people prepare their pitch . The final is then a Dragons’ Den-style showcase in July, with the two winners chosen. Previous winner Will Prentice, of Kibworth-based Elite Scooters, said: “For anyone thinking about entering, just enter. “Even if you don’t win, you get all the free advice. To enter or to find out more about the competition, visit www.sparkharborough.com.